SPUP culminated the Paskuhan 2017 with family thanksgiving party on December 22, 2017. 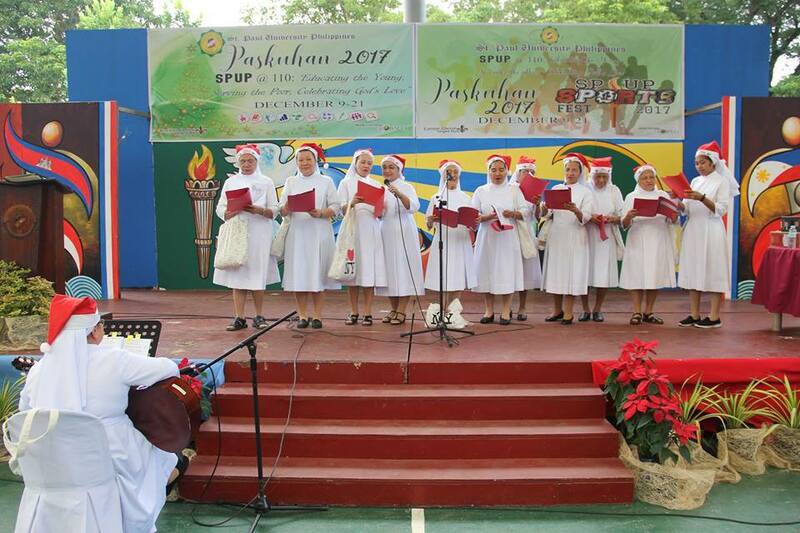 SPUP employees and SPC Sisters endeavored the day as their Christmas celebration. The University Chaplain, Fr. 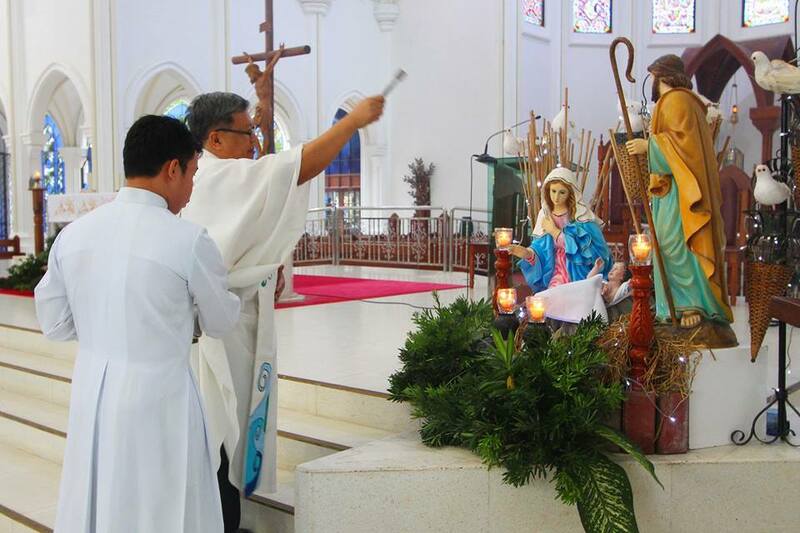 Carlos Evangelista presided the Eucharistic Celebration. In his homily, he emphasized that Christmas is Jesus' birth in time, in our heart and in the hearts of others. The thanksgiving mass was also highlighted by the employees’ veneration to the Child Jesus and the induction of the Officers of the SPUP Employees' Club. After the Mass, SPUP Employees shared the delight of witnessing this year's stage play entitled “Don’t Stop Believing,” which featured the students of the Basic Education Unit (BEU). At the Student Center, SPUP’s Christmas Agape was held. This was followed by a fun-filled program which included activities such as faculty presentations, parlor games, raffle draw, and gift-giving. The SPC Sisters also serenaded the employees with Christmas songs. In her Christmas message, Sr. Merceditas Ang, SPC, (University President) reflected on the virtues of love, peace, hope and joy which embody the meaning of Christmas. The celebration ended with the SPUP community singing Christmas songs and the Paulinian Hymn.